Featured today is a fantastic natural and unheated Ceylon blue sapphire of 2.60 carats set in sterling sliver as a Saturn talisman ring. 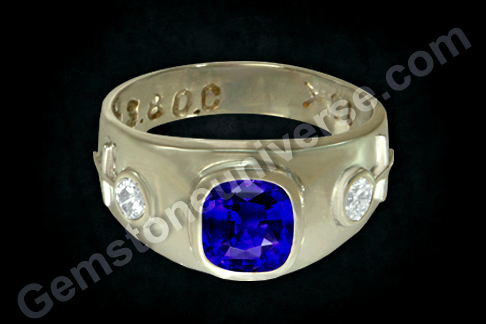 The natural treatment free blue sapphire is a lovely oval with enchanting shimmering sky blue colour. 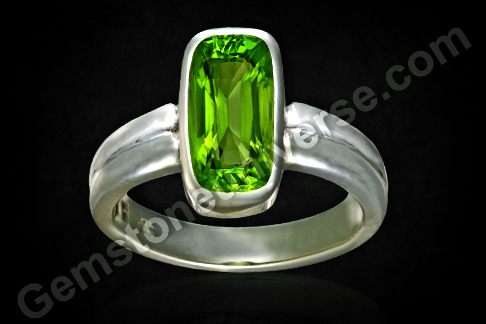 The gemstone has superb clarity and electric lustre. 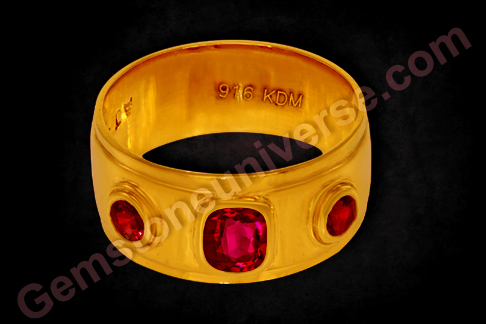 The 2.60 carats makes for a good jyotish weight ensuring good results in planetary gem therapy. 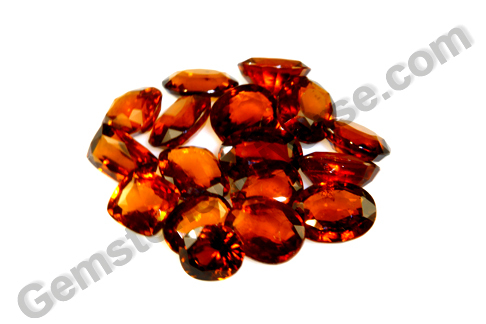 The most valued blue sapphires are medium tone blues close to cornflower colour. 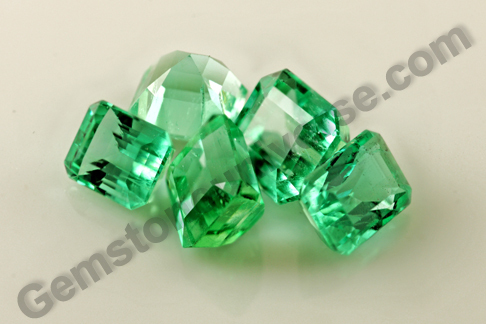 However there is a richness about them that is hard to miss. Another quality that makes the blue sapphire so alluring is the water like crystal appearance that enhances its visual appeal. It is a function of clarity as well as cut. A person meditating upon the mesmerising watery blue can be transported easily to faraway shores of calm. Such is the effect of the self assured powerful energies of the true blue sapphire. 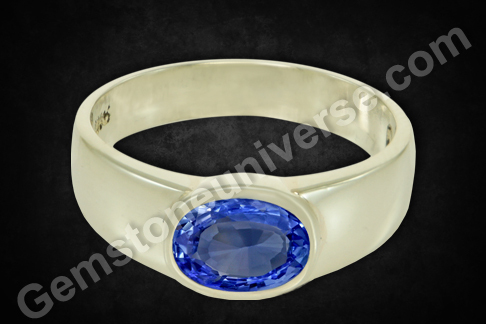 Blue sapphire or neelam is the gemstone of planet Saturn/ Shani and is used to harness its powerful energies. Saturn in Hindu mythology has been a mysterious planet rather a feared one due to paucity of understanding. 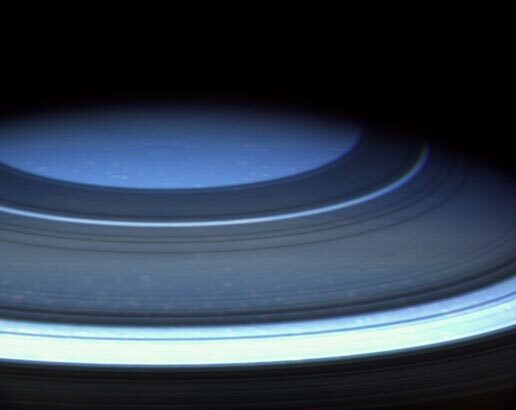 Here is a beautiful picture for you of Saturn’s clear blue colour (it’s Northern hemisphere) sent by the probe Cassini. Here’s some food for thought – in the solar system, Saturn is amorphous – no land, no water, just a dense gaseous sphere! Astrology has very sound roots in astronomy. Chew on this – who knows what understanding it may unravel for you! Comments Jupiter or Brihaspati is a very important planet where Vedic astrology is concerned. He represents wisdom, justice, education and understanding. If an individual has the right perspective, and is able to assess situations and people clearly, half the battle is won. Incidentally, with clouded judgement, and fuzzy thinking, one can easily wreck a fortune. And, that is why having a good brihaspati or empowering him matters! Especially so if he happens to be a yogkaraka. 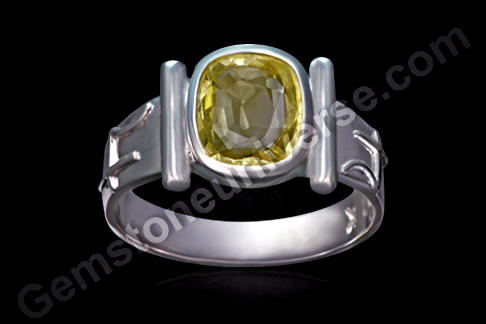 Featured today is a fine natural, unheated and treatment free yellow sapphire set in 18-karat white gold. 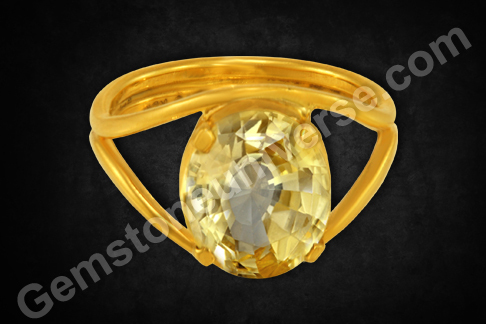 The 3.07-carat cushion cut Ceylon yellow sapphire is the finest butter yellow color – mellow yet powerful just like the planetary energy it represents. 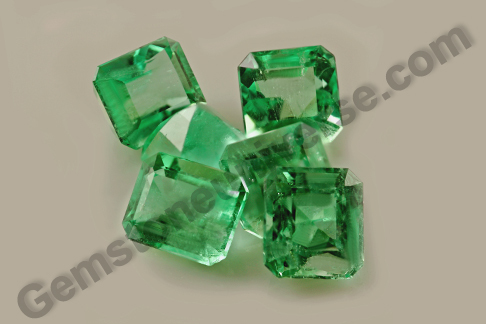 The gem has excellent clarity and is free from any doshas/ flaws mentioned in the sacred texts, making it a perfect jyotish gem. 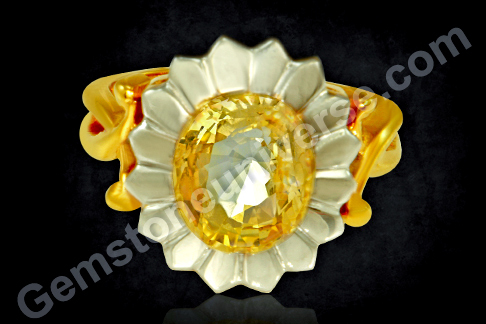 What makes this ring even more special is that it is a planetary bhasma ring. 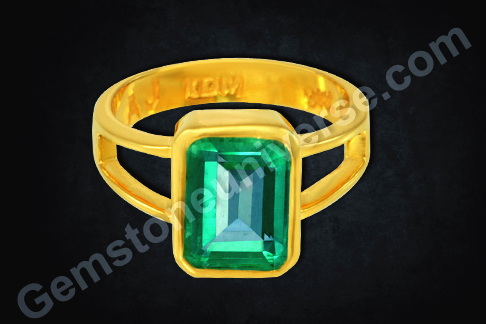 The ring design incorporates tubular channels, which as the ashwath bhasma sealed into it for added benefit. 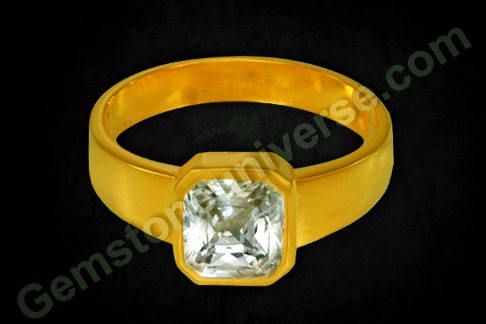 The symbol of Jupiter stands in relief on the shanks of the ring. Ashwath is the herb of Planet Jupiter and the sacred herbal ash or bhasma derived after intense rituals is used for benefit in the planetary bhasma rings. 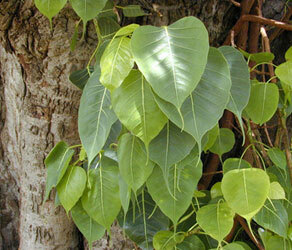 Ashwath also known as the peepal tree. 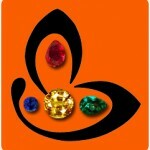 It is widely found and revered across India. Its botanical name is ficus religiosa. 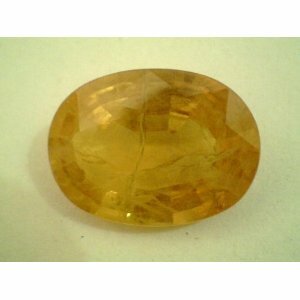 Natural Yellow sapphire or pukhraj ratna is used to harness the energies of Jupiter. 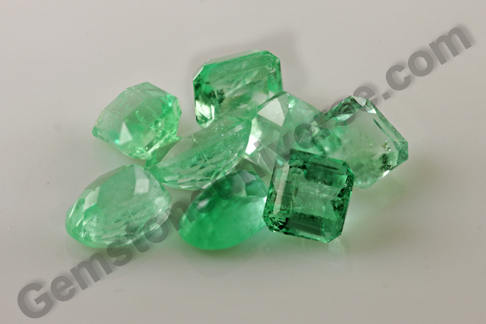 What natural gemstones can do for your energy system is beyond words and what benefits it can bring along spiritually as well as temporally are phenomenal.